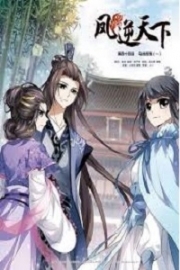 You’re reading novel Chaotic Sword God Chapter 39 - Plans online at LightNovelFree.com. Please use the follow button to get notification about the latest chapter next time when you visit LightNovelFree.com. Use F11 button to read novel in full-screen(PC only). Drop by anytime you want to read free – fast – latest novel. It’s great if you could leave a comment, share your opinion about the new chapters, new novel with others on the internet. We’ll do our best to bring you the finest, latest novel everyday. Enjoy! After eating breakfast, Jian Chen and Tie Ta both grabbed their respective weapons before continuing on with their journey. However, trailing behind them was the dainty Liang Xiaole, who was empty handed. She looked around herself carefully due to her own weapon being long gone after she had been separated from her group and chased through the forest. Tie Ta lifted his battleaxe; his clothes were already swapped out. This time, he was wearing Blue Wolf leather along with some gra.s.sroot to hold it together. His academy uniform was long since torn apart from yesterday’s battle to the point where he couldn’t wear it anymore. In the blink of an eye, another day came and went. By looking at the profits, they weren’t as good as the first day, but they weren’t bad either. In total, they had killed 70 magical beasts, making Liang Xiaole feel shocked. On this second day, Liang Xiaole went through a major change. Ever since the spectacle with the Blue Wolves, her entire personality had transformed. At the very least, whenever she saw a magical beast, she wouldn’t scream in terror anymore. And whenever Tie Ta and Jian Chen would slaughter any enemy magical beast, she didn’t even flinch at the sight of the blood. She was slowly starting to adapt to her situation..
Not only that, but in the same day, she had unexpectedly learned much about the dangers of the forest and gained knowledge pertaining to them. Her capacity for learning was extremely high, and even Jian Chen couldn’t help but admire it. Of course, what was important was looking at her talent for cultivation, since in the Tian Yuan continent, one’s own strength was what dictated who they were over everything else. Liang Xiaole was also extraordinarily smart. Although she wasn’t very strong, she definitely didn’t cause trouble for Tie Ta or Jian Chen, nor was she a burden like the two had previously thought she would be. She would stay behind the two, and whenever the two fought against a magical beast, she would stand far away so that she wouldn’t get caught up in it. After that day, both Jian Chen or Tie Ta had a new levels of respect for Liang Xiaole, and no longer belittled her in their hearts. Later that night, the three of them sat by the campfire to count the pile of monster cores. “Dear seniors, have you two really not condensed your Saint Weapons and become Saints yet?” Liang Xiaole asked as she stared at them with her bright eyes. What a strange question. Her clothes were already filled with holes from the trees and thorns that stabbed and cut into her, and her pretty face resembled a kitty from the whisker like cuts. Since there were no water sources, she had to rely on drinking the blood of the magical beasts in order to stave off the thirst, and so there was no way she could wash off the filth on her face. “If we were Saints, why would I be using this axe?” Tie Ta looked at his bundled up and heavily nicked battleaxe with no small amount of dissatisfaction. After continued usage with Tie Ta’s strength, the giant battleaxe had finally worn out; the previously sharp edge was now becoming blunt after use. Even the previously sharp point on Jian Chen’s corroded iron rod had nearly become flat. “Yea, that’s a good idea,” Tie Ta nodded in agreement. Liang Xiaole nodded wordlessly. Her expression was a bit disappointed; after all, she also knew of the 3rd region’s dangers. She was unsure if Jian Chen and Tie Ta would be able to go against those magical beasts. If she continued along with them, even if Jian Chen and Tie Ta agreed to let her accompany them, she would only be a baggage that would hold them down. The night pa.s.sed without incident. Soon, the sky began to brighten. Jian Chen and Tie Ta finished their night of cultivation, and began to prepare breakfast. After the three of them had finished eating, the sun had already gradually began to rise into the sky. They continued on their way; however, this time, they had begun walking back in the direction they had come from. After two days of battles, the two boys had already become extremely skilled at sensing and avoiding danger, so it didn’t take long for them to arrive at their destination. Under a large tree, nine students in tattered clothing were tiredly sitting underneath, catching their breaths. They were a group of commoners mixed with some n.o.bles. At the moment, their clothes were ripped all over the place, with some dried out bloodstains covering them as well. They also sported injuries on their bodies, and not far from them was a carca.s.s of a magical beast lying on the ground. “Everyone, hold on for just a bit longer. This is already the last day. After this day ends, we can leave,” a commoner student breathlessly said. “It’s unfortunate that we don’t have enough Magic Stones yet, we still need five more. It looks like we still have to slaughter five more magical beasts to pa.s.s.” said a young n.o.ble. Originally, the n.o.bles hadn’t been willing to stay together with the commoners, but after encountering the savage magical beast, they were immediately scared out of their wits. Faced with life or death, who would care about people’s statuses? Protecting oneself was the greater priority. Thus, the few n.o.bles had gradually decided to join the commoner students. After all, everyone knew there was strength in numbers. In addition, perhaps because the commoners had been raised in harsher environments, they did not show any signs of retreating when faced with savage magical beasts. This changed the arrogant n.o.bles’ views of the commoners. Eventually, they had all slowly become friends. Moreover, after constantly fighting against magical beasts, the nine of them had become more comfortable working together. Eventually, they had formed an unexpected bond that held all of them together with close relations.h.i.+ps. At that moment, there was a movement in the gra.s.s off in the distance. “Everyone, be careful. A magical beast is attacking.” A student immediately reacted and loudly warned the others. Instantly, the nine of them stood up and stared with wary expressions towards the direction the sound had come from. The gra.s.s swayed vigorously. Eventually, they saw a figure wearing beast leather swinging a large hatchet around, cutting down the weeds in his way. Right after the group noticed him, they saw that there were two other figures following behind him as well. Although their clothes were tattered, it was obvious that they were all wearing the Kargath Academy uniforms. Perhaps because they had been traveling through the lush forest for so long, but their faces were dark, and they had random twigs in their hair. Only their general facial structures could be seen; their appearances were already indistinguishable. Realizing that the figures were people and not magical beasts, the nine students immediately sighed in relief, and smiles slowly spread across their faces. At this point, if they could get those new people to join them, then the overall strength of their group would definitely rise. Hunting magical beasts would be much easier. In addition, all of them were smart enough to realize that these people who had stayed here for 3 days must be quite powerful. Of course, these three people were Jian Chen, Tie Ta, and Liang Xiaole. After backtracking for half a day, they had finally discovered a group of people. Since it was already the last of the three days, there weren’t many people remaining in the forest. Most of them had already ran away, and so there were very few students that were still here. When Liang Xiaole’s gaze rested on a gorgeous girl standing amongst the group of nine, she showed a pleasantly surprised expression. “Ah! Li Sha!” Liang Xiaole shouted out with an extremely excited voice, as she immediately flew towards the gorgeous girl. Hearing a slightly familiar voice, the girl blinked her large, s.h.i.+ning eyes, and gazed at Liang Xiaole, who was running towards her, in slight confusion. Currently, Liang Xiaole’s face was covered with quite a bit of dirt, making her look like a calico cat. Even if this girl called Li Sha did know Liang Xiaole well, it was difficult for her to recognize Liang Xiaole with her current appearance. 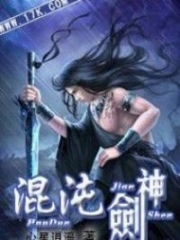 You're reading novel Chaotic Sword God Chapter 39 - Plans online at LightNovelFree.com. You can use the follow function to bookmark your favorite novel ( Only for registered users ). If you find any errors ( broken links, can't load photos, etc.. ), Please let us know so we can fix it as soon as possible. And when you start a conversation or debate about a certain topic with other people, please do not offend them just because you don't like their opinions. You're reading Chaotic Sword God Chapter 39 - Plans. This novel has been translated by Updating. 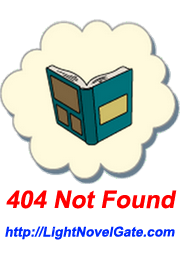 Author: Xin Xing Xiao Yao already has 14200 views. Current Time is Apr-23-2019 00:11:40 AM.